Washing your floors seems like the least possible magical thing you could ever do, but magical floorwashes are an integral component of many magical traditions, including Hoodoo. The combine the physical housecleaning with spiritual and magical work, effectively allowing you to kill two birds with one stone. Take about a time saver! 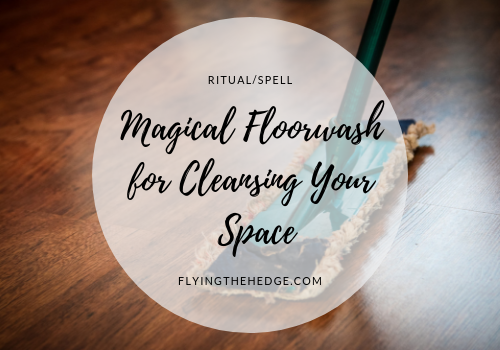 Furthermore, they are a very discreet way to practice magic without anyone knowing, so if you are still in the broom closet, magical floorwashes may be a powerful way for you to cast spells without anyone knowing! While any liquid used to clean a floor is referred to as a floorwash, in this context I am referring to the final rinse of already clean floors, the rinse that is allowed to remain on the floors until it air dries. This allows the magic to radiate into the surrounding atmosphere. Floorwashes can be used for protection, cleansing, prosperity, and even romance. 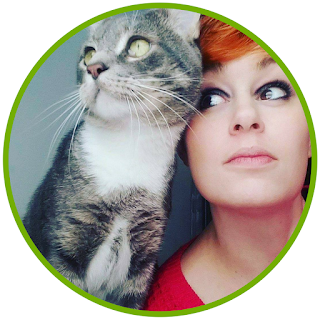 Since I have been focusing on house cleansing and space clearing lately, I thought I would share two recipes that will enhance your house cleansing rituals. This floorwash is to be used after you have performed your Deep Cleansing Ritual. Remember, your floors should already be clean. Consider this is the final step in the ritual. 1. Combine a teaspoon cascarilla powder, 1 cup vinegar, a teaspoon of salt, and warm water together in a bucket. If you don't have cascarilla powder, crushed eggshells will work just as well. Simply place them in a small strainer and place in the bucket of water. 2. Place your hands over the bucket and imagine it filling with white protective light. Whisper your intent into the water. 3. Wash your floors, imagining all remaining stale or negative energy leaving the house. 4. Allow the floorwash to air dry. This floorwash uses botanicals, specifically angelica which is cleansing and protective in nature. It packs a strong punch and can be used to cleanse your home anytime. 1. Make a strong infusion using dried angelica and hot water. 2. Strain the herbs and combine the infusion with 1 cup vinegar and 1 teaspoon salt in a bucket of warm water. 3. Place our hands over the bucket and imagine it filling with white protective light. Whisper your intent into the water. 3. Wash floors normally, imagining all remaining stale or negative energy leaving the house. And there you have it! Two simple, discrete recipes to cleanse your home. I plan to post more magical floorwashes in the future. I love how easy and discrete they are.